Fully Furnished, turn key and ready for move in. All furniture / appliances are new as of 2017. 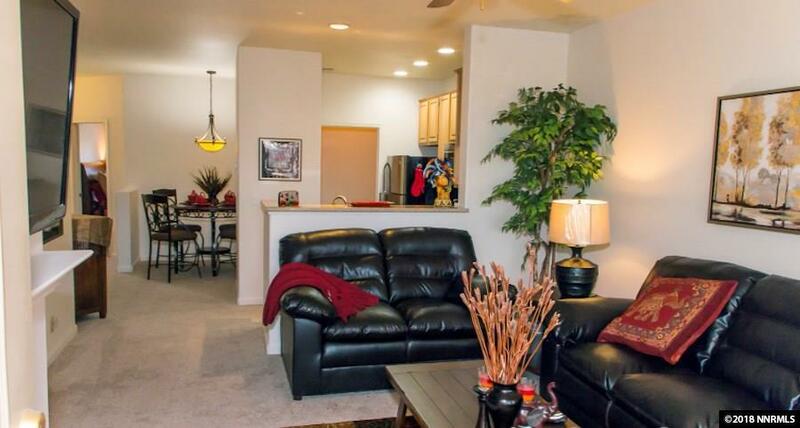 Tanamera is the premier location in South Reno thats in the middle of the best activities Reno has to offer. Fully equipt gymnasium, secure club house, year round heated pool, sauna and a spa make this a relaxing or social environment. Condo complex is gated and secure. Only minutes away from Mt. Rose Ski resort, and only 5 minutes to Reno / Tahoe Airport. 2 master bedrooms with walk in closets. Move in NOW.